House Renovations, Toronto and the GTA, is the right place and the right choice for your drywall taping needs. Since the drywall has been up, let the process of layering begin! Wall taping and mudding is the magic foundation that sets the stage for the most fun part of new walls and ceiling: the paint job. Wall tape makes your walls straight and smooth, hides nail heads, seams and other imperfections left behind by framers and drywall hangers. Therefore, it is extremely important that wall taping to be done correctly and professionally. 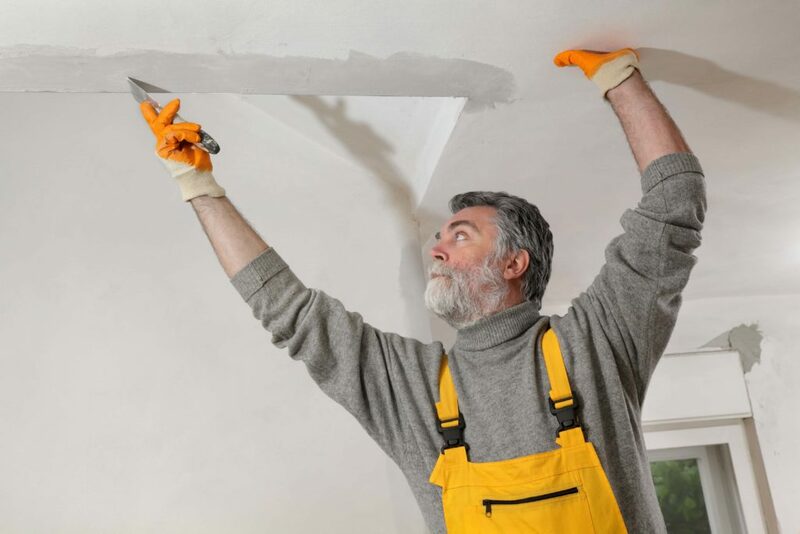 With an eye for quality and detail, we are the drywall contractors in Toronto and the GTA that can get your drywall taping installation done perfect, on time and cost-effective. Creating a masterpiece requires artful wall taping and finishing techniques that take years to develop, which our experienced team has achieved for over twenty years of experience in the drywall installation industry, including extensive drywall taping and finishing projects. Other contractors cannot match our three-coat process of wall taping as it creates a blemish-free monolithic finish on your drywall. The type and price of wall tape you need depends on many factors, including the quality of the drywall installation. Square and rounded corners and other tough areas may require a special type of wall tape, such as fiberglass, and extra applications. Our professionals have a bevy of tools and materials. Professionals also use a “potato masher mixer” to quickly hand-mix mud for smaller areas. Any remodeling project can quickly become a terrible mess with the wrong contractor. A poor taping job can cause further troubles for trim carpenters and painters. So, drywall tape price can increase significantly! All our wall tapers have efficient and depth training to ensure that you receive a professional look of the highest quality and worry-free service. If stylish and artfully crafted walls sound appealing to you, please contact us for a free estimate in Toronto and the GTA.